The Nameless Mod Official Sound Track is a selection of the best tracks in TNM, which have all been extended and completely remastered. 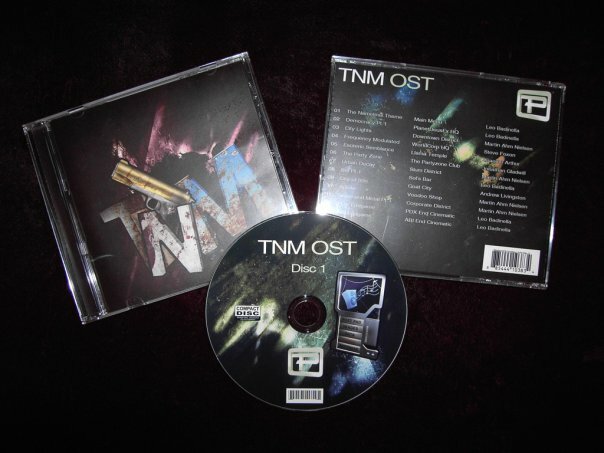 This Official Sound Track a selection of the best tracks in TNM, which have all been extended and completely remastered. The OST contains two disks, a "Friendly" disk, containing the tracks you hear in TNM when things are peaceful, and a "Hostile" disk which is made up of the tense, high energy tracks that you hear when things start to go bad. The download contains images of the two discs, ready to burn, as well as the original artwork for the discs and cases. We hope you enjoy this set as much as we enjoyed creating it! The Nameless Mod Official Sound Track is a selection of the best tracks in TNM, which have all been extended and completely remastered. The OST contains a selection of the best tracks in TNM, which have all been extended and completely remastered. The OST contains two disks, a "Friendly" disk, containing the tracks you hear in TNM when things are peaceful, and a "Hostile" disk which is made up of the tense, high energy tracks that you hear when things start to go bad. The download contains images of the two discs, ready to burn, as well as the original artwork for the discs and cases. We hope you enjoy this set as much as we enjoyed creating it! Wow, you really pulled all of the stops with this. Fantastic work. Is something wrong with the download? I can't get it to play with anything I throw at it. Did you check out the readme? You'll need to mount the .bin and .cue files if you don't want to burn it. I tried to mount the .bin files with several different programs (for example "Gizmo Drive" and "MagicDisc" and "MagicISO") but it couldn't do anything to them. OH wait, I got it. I gotta use the .cue file to get the files from the .bin. Ah, it's allright now.